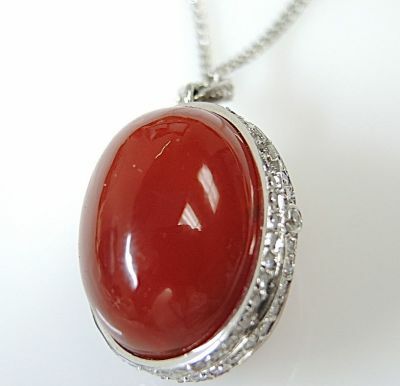 One custom-made carnelian locket pendant. Two oval cabochon carnelians (32.33 carats). Seventy-five single cut diamonds (0.64 carats: VS-SI clarity: H-I colour).